ForeverGreen (FVRG) Reports Record Sales With the Launch of Their New Patented Wellness Product KetonX. ForeverGreen™ Worldwide Corporation (OTCQB: FVRG), a global direct marketing company and provider of health and wellness products, announces today KetonX is now available in an envelope. The initial launch of this new product has exceeded expectations, with the company achieving over $200,000 in sales during the first week. In addition to advancing sales in North America, Latin America and other markets, the new model makes KetonX in an envelope available to distributors globally in Middle East and Africa, Asia and ForeverGreen’s largest market, The EU. KetonX is a drink product that allows the body to begin converting into a state of nutritional ketosis within a matter of hours, not days. Featuring a patented blend of ingredients, KetonX is a safe and simple way to achieve ketosis without the negative side effects of a typical ketogenic diet. KetonX has been available in multiple markets since its initial launch. It will now also be accessible in a convenient 4-serving envelope to over 107 countries, increasing potential market availability by 300%. 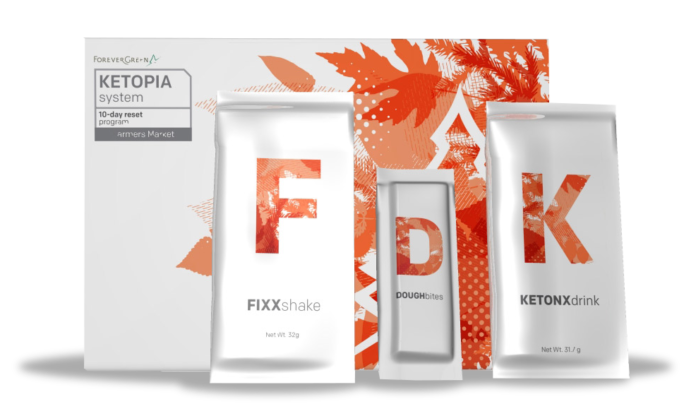 The new envelope configuration maximizes value for the consumer by dramatically reducing shipping costs to distributors and creating a platform for ForeverGreen’s new Ketogenic-lifestyle product packs. Combining these two product lines also provides sales associates with powerful new tools to grow their direct selling businesses and dramatically increase ForeverGreen’s top line revenue. In addition to this new dimension of KetonX, the information and marketing materials for KetonX have been updated to match the look and feel of ForeverGreen’s existing products. “The product is quickly developing into a top seller and should be a key contributor of the expected significant future growth. KetonX has proven its capability and we are eager to see the subsequent success and expansion it has to offer. With our geographic footprint being increased substantially and the logistical ease of our envelope model, the company is in the best position to continue enhanced sales and dramatically increase shareholder value,” said Joe Jensen, Chief Sales Officer. Empowering a health-conscious community to focus on mindful self-care, ForeverGreen’s products, opportunities and ideals reach around the globe to thousands of individuals in over 100 countries. ForeverGreen combines technology, science and ancient resources into products that can be shipped anywhere using a revolutionary envelope model. Despite this successful development, our most important product will always be people; community involvement and good character are the seeds of complete health. ForeverGreen is a publicly traded company based in Lindon, Utah. For more information, visit forevergreen.org. Welcome Home! Next articleFascinating Tour Of Players Network (PNTV) $0.04 Green Leaf Farms Marijuana Operation.